Hello Frndzzz.... www.dealsnloot.com Back With New Pepperfry Loot Deal. 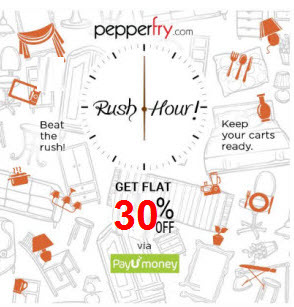 Shop on Pepperfry using Mobikwik Wallet & get 30% cashback maximum Rs. 150. MobiKwik wallet is used for shopping online, paying bills, transferring money to friends and family, and recharging smartphone / DTH connection / data card. Flat 30% Instant Cashback on all orders via Mobikwik Wallet.